This cozy country favorite is perfect for brunch. Pair with fresh fruit and pastries. Place asparagus into shallow 13”x 9" (34 x 22 cm) glass or ceramic baking dish,lightly sprayed with cooking spray. Combine soup and water in saucepan on medium-high heat. Heat to a boil,stirring occasionally. 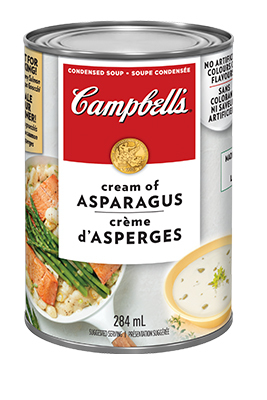 Pour soup mixture over asparagus and sprinkle with pepper. Break eggs and place gently over surface,spacing evenly. Bake,uncovered,at 400°F (200°C) until eggs are set – 12 to 14 minutes,depending on desired doneness. 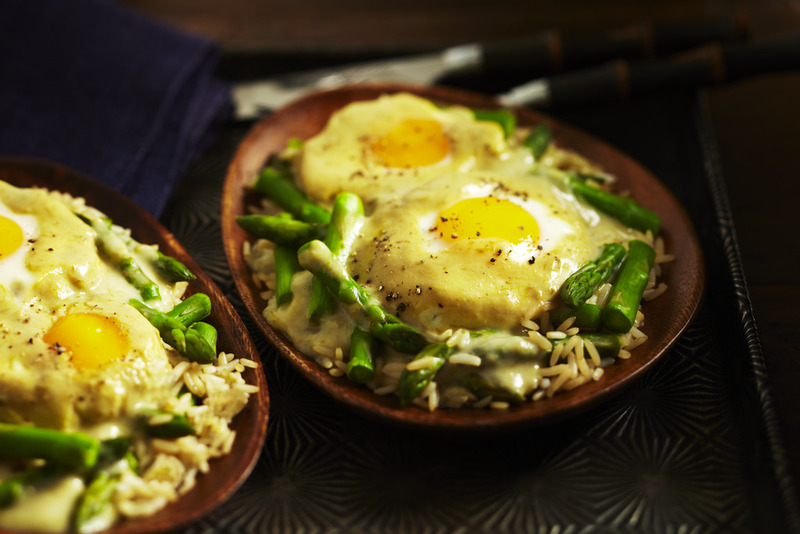 Serve baked eggs (2 per serving) with asparagus sauce and rice. For a wonderful brunch idea,serve with toasted whole wheat English muffins,instead of rice. If fresh asparagus is not available,frozen asparagus that has been thawed is just fine.